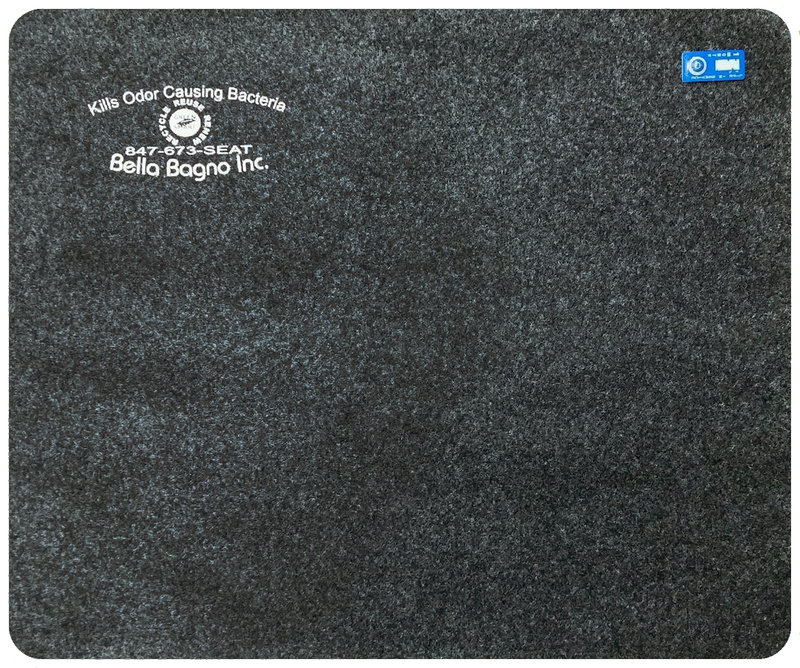 BellaMat® is the ONLY custom made disposable restroom urinal floor mat made of GREEN Smart™ Technology; treated with a non-toxic antimicrobial agent with a health rating of 1. 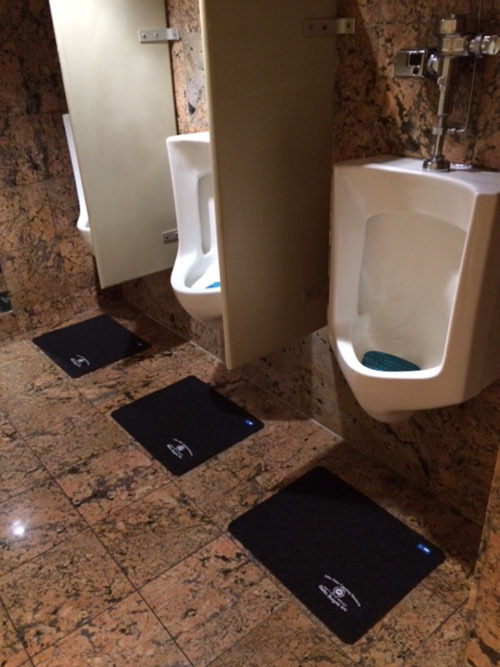 The Custom-made disposable antimicrobial urinal floor mats are designed and treated to control odors, protect the floors from staining, and eliminate bacterial growth. 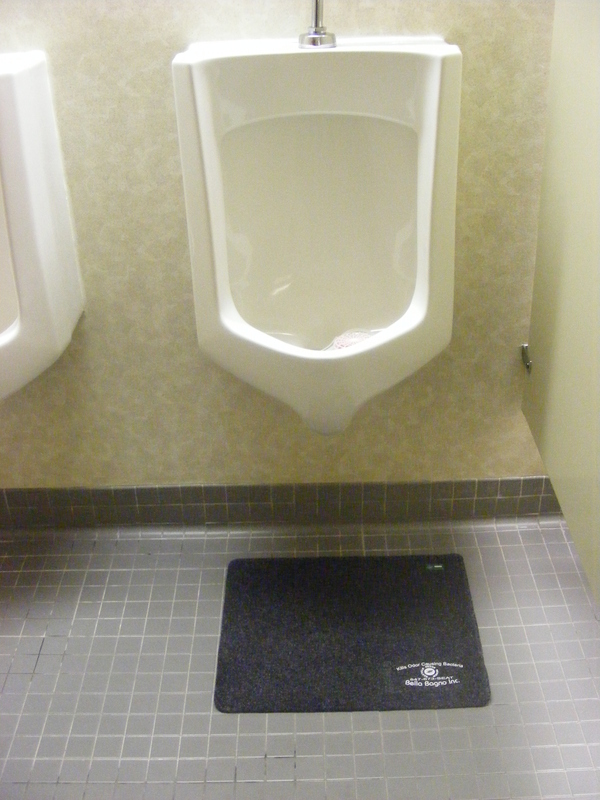 The mats fit under urinals to capture urine spills and accompanying odors. The TIMESTRIP® indicator lets you know when it's time to refresh with a new mat. Reduce maintenance, labor costs, slip and fall liability, and just make your washrooms a more pleasant place. Restroom users will appreciate the hygienic and sanitary benefits. The Wave 3D doesn’t just mask, it releases optimized bacteria that consume odors. The revolutio.. 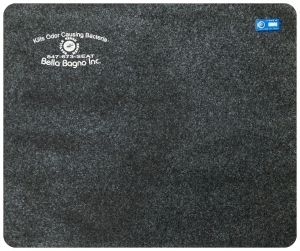 Using an environmentally safe technology, disposable Commode Mats are coated with an antimicrobial t..